Brian worked for over 36 years as a substance use/mental health researcher with the Centre for Addiction and Mental Health (CAMH) and retired to focus on his consulting practice in 2013. 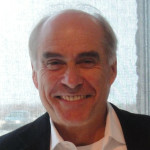 He is currently a Scientist Emeritus at CAMH and retains his position as Full Professor at the University of Toronto in both the Departments of Psychiatry and Public Health Sciences. His work spans evaluations of treatment, health promotion and prevention services as well as service collaborations and networks: the development, analysis and application of epidemiological and service utilization data regarding alcohol and drug use/abuse; tiered frameworks to integrate prevention; research syntheses concerning the effectiveness of prevention and treatment interventions as well as service and sector-level integration; performance measurement frameworks, including process and outcome monitoring for alcohol and drug treatment; development and validation of evaluation tools including tools to assess client and family members’ satisfaction with services received; health promotion and service-oriented interventions in mental health, primary care and children and youth services; the development of needs-based planning frameworks to estimate community capacity requirements; and the evaluation of implementation strategies vis-à-vis evidence-informed practice. Brian has published over 95 peer-reviewed publications and numerous monographs, book chapters and reports, including publications specific to logic model development, performance measurement and evaluation frameworks. In addition to his research and scientific experience, Brian has the same number of years’ experience in program and policy evaluation. He completed his post-graduate studies in 1987 and started undertaking independent evaluations and leading evaluation training events in 1985. Brian has led or been significantly involved in over 100 health services and health promotion evaluation and research projects. He has also developed evaluation training materials for the World Health Organization and developed and implemented evaluation capacity-building workshops in Ontario, elsewhere in Canada, and internationally. He has published on logic model development, needs-based planning and the evaluation of collaborative care. He is seen as a national expert in Canada in logic models and how to use them for program planning, evaluation and performance measurement. His evaluation work bridges health services and systems and prevention and health promotion, always firmly grounded in a population health perspective. Brian became certified as a Kundalini Yoga instructor in 2015 and has developed a yoga based curriculum for new immigrants to Canada. He acts as an advisor for the research component of the Beyond Addiction program..